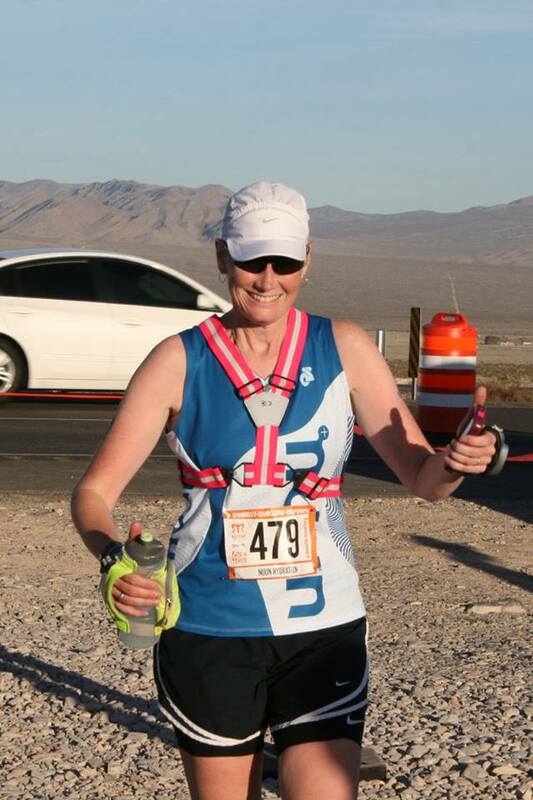 Part 1 of the race recaps of my experience running Ragnar Relay: Las Vegas. I wish I could express to y’all the excitement I have to recap this relay. My first relay ever was only a year ago at the mother of all relays, Hood to Coast, with Nuun. You can read those recaps here, here, here, and here. If you read them, you’ll know my experience was great and I was so thankful for the opportunity, but things definitely could have been better. 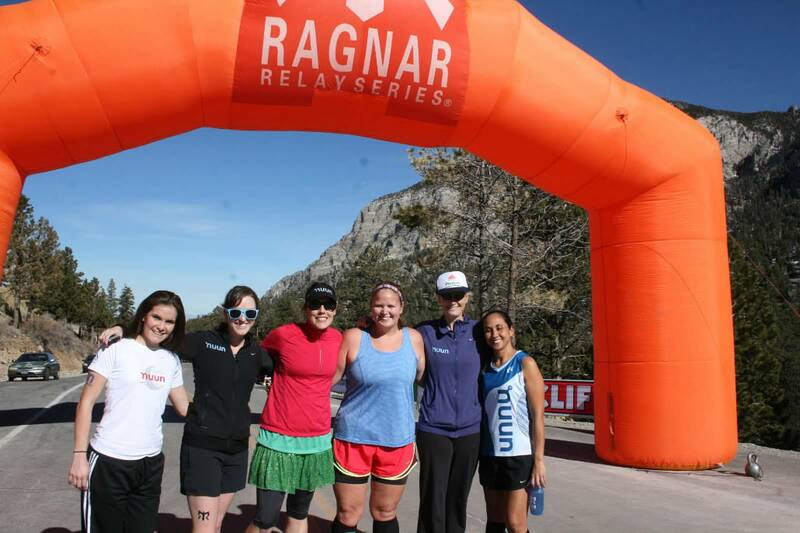 When Nuun and PRO Compression offered the chance to run a Ragnar Relay event this year, I jumped at it! Not only was I going to be doing another relay, but it was going to be in Las Vegas AND there were going to be fantastic ladies on my team. I was thankful for the opportunity for a “second chance” so to speak to really enjoy a relay and be myself. Emails quickly got exchanged and some former HTC teammates and I decided to all try to be in one van to make it even more fun than it was already going to be. Former teammate Caroline recruited her friend Sandy who I actually already followed on Instagram so I was very excited to put a face to a name and get to know her as well as the rest of the team since I didn’t really talk to them at HTC. I felt like I had known these ladies for years and to say we had the time of our lives would be the understatement of the year. Van 2 on our team also had some pretty fantastic ladies and one very spunky male. 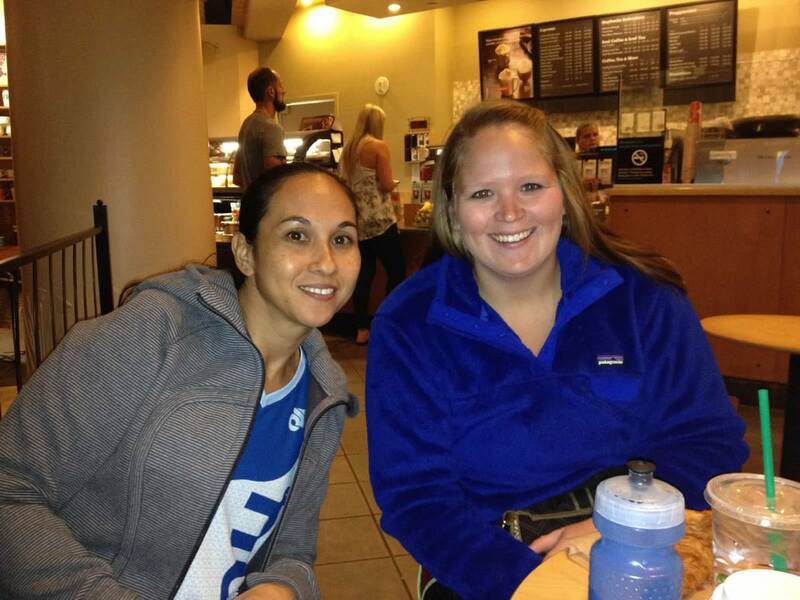 I even recruited Brennan, whose blog I have been reading for quite some time, and she was in van 2! I wish I could have talked to her a lot more at the relay but she was runner 12 and always running when our vans were together. Loved meeting her! Our van at the start line. Before I can do a full recap of the relay in future posts, I will introduce the five fabulous women I got to spend the weekend racing and relaying with. Ladies listed in order of legs ran. Nicole. This woman is a superstar to say the very least. Both of our flights got in late on Thursday night and she met me at the airport to take a shuttle to the hotel. I got a little lost in the airport but she talked me through it so I could finally find her and even bought my shuttle ticket which was the sweetest thing ever. She is a brand new mom and looking at her awesome body you would never even know she recently had a baby. I’m amazed and honored she had the courage to leave her baby and come hang out with us! She had a super tough first leg that started at 8600ft elevation and managed to run her first leg with a killer sub-8 minute mile pace. She ran all three of her legs super strong and was seriously so nice! When I got sick after one of my legs she was really understanding and was just all around so very nice to me. Glad I got to meet her again and really felt like we were the best of friends. Sandy. I love this woman and am so thankful for Caroline inviting her. She often said before her legs that she was going to take it easy and run slow. Okay, maybe her Garmin doesn’t work right because she was a little speed demon that tore up the race course. I loved being able to hand off at each exchange to her and watch her take off and leave me in the dust. Even though this was my first time meeting her, I felt like we were long lost friends and she was always willing to tell me what song was playing on the radio since I’m sooo young. She also went out with us on Saturday after the relay to eat at the buffet and to help me try to win big at penny slots. I seriously cannot say enough nice things about her. Sandy will also be a Boston Qualifier in the near future. Caroline. Oh sweet Caroline. She is probably one of the nicest human beings I have ever met. Before the relay she worked really hard at making sure we were all up to speed through various emails and was basically the backbone of our team. She kept the party going in the van with her playlists and took great photos of everyone on her fancy camera. Not only did she rock the relay, but she did so just coming off an injury and despite some terrible stomach issues on the course. She was always so encouraging and offering support. I loved getting to talk to her on Thursday night before the relay and getting to know her more. She says she is slow but she is a really strong runner and talented too since she managed to Instagram videos of herself while running! Oh and her French-Canadian accent was amazing. Zoe. Our fearless leader, captain, and driver. Don’t let her size fool you since she packs a mean punch. We wanted her in our van and she was willing to take the hardest legs just to do so. All of her runs were long and hard but she was a real trooper and always barreled through exchanges like it was her job. She works for Nuun and had the responsibility of driving us around and she did an excellent job. Zoe is an expert flag waver and sparkle skirt wearer. Not only was she an amazing teammate but she also did this relay on her daughter’s 3rd birthday so we all got to FaceTime her little girl and wish her a happy birthday. Thanks for being so great, Zoe! Vanessa. This girl. One of the first blogs I actively commented on and my first real life stranger blogger meet up. She came and stayed with me in Knoxville about a year and a half ago having never met me. Is she brave or what? At the time she lived in Georgia but recently moved across the country leaving me being the only Southerner. Even though she doesn’t blog very much any more, I still adore this girl. She was sooo supportive on the race course and in the van. She was almost like our mama bear making sure that everyone was doing okay and that we had everything we needed. 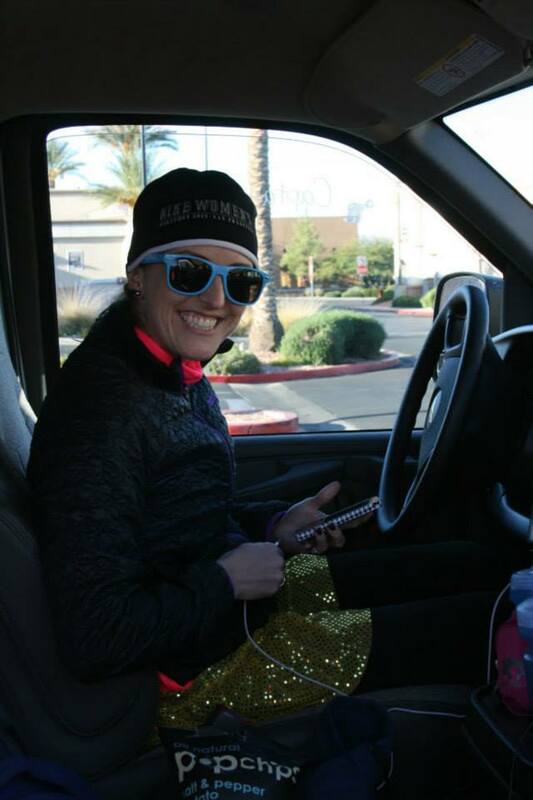 Vanessa also took a lot for the team when her first leg was extended and the route was totally changed and then she had to run her second mile at night for 1o miles completely uphill with absolutely no van support. Not only this, but her knucklelight lamp went out so she was in the dark most of the time. Talk about a rock star. She also went to eat with Sandy and I after the relay and played some slots. This girl is one of my favorite people! So there you have it. Our van 1 ladies. Love them all and already miss them terribly. I was runner number 3. I cannot wait to sort through photos and write about the incredible experience I had. More to come in the next few days so stay tuned. 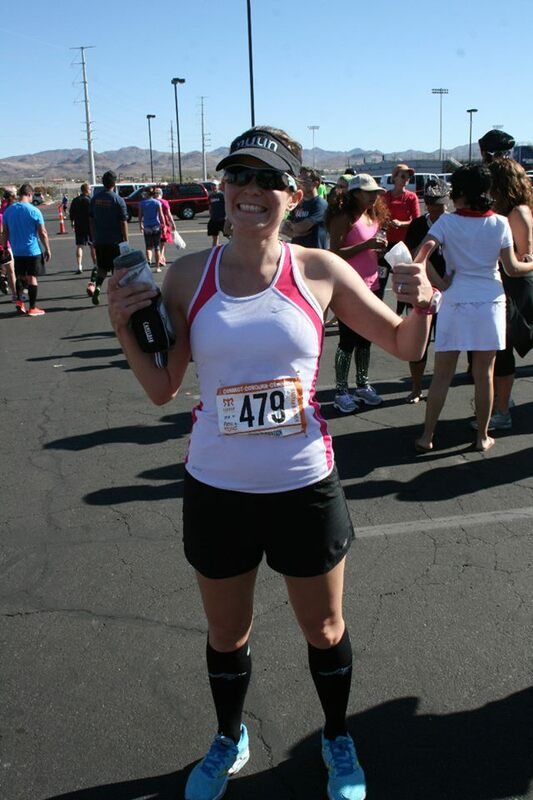 This entry was posted in Race Recaps and tagged ragnar las vegas race recap by thegogirlblog. Bookmark the permalink. You are too cute 🙂 The truth is that I am afraid to run in the dark in unfamiliar places! Next time you come to Vegas we are going to play the $1 Wheel of Fortune and win $1000.00!! I can’t wait until you and TJ get married so we can throw you a party in Vegas! Email me your address so I can add you to my Christmas card list! This makes me so excited to do my first Ragnar in Feb! So cool that you got to run with Sandy and Vanessa! I follow both their blogs but have never got the chance to meet either of them! Sounds like an amazing trip. One day I will do a ragnar race I hope! So glad you enjoyed yourself with fabulous people! Makes me want to do a Ragnar! Looking forward to reading the recaps! 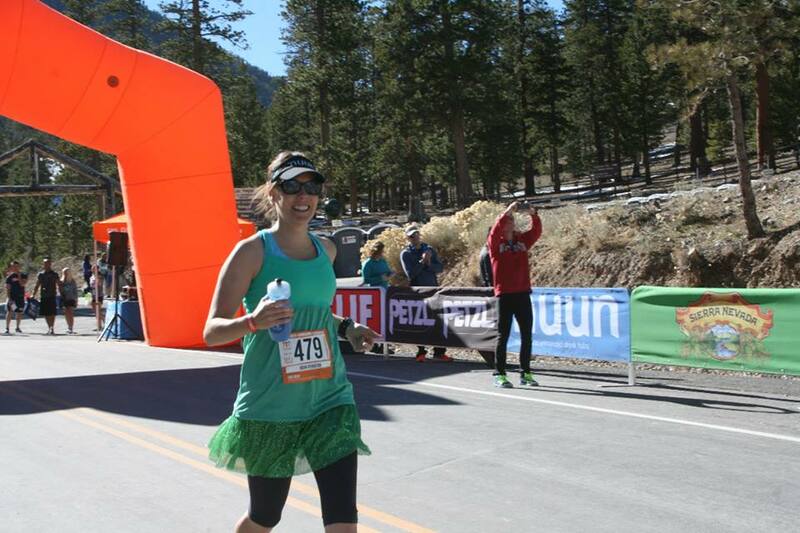 I want to do a relay run sometime – maybe a goal for 2014! I’m so new to following blogs, but I am so glad I started! I would have never really known about HTC or Ragnar! These vents seems AMAZING and I want to be a part of it! I’m not the fastest runner out there, more average/middle of the pack, but these events sound amazing. Thanks for sharing and the team bios were fun to read!